After 13 days of travelling through the harshest terrain South America has to offer, the 2017 Dakar Rally has finally come to an end. TVS Sherco Racing has managed to bag some good positions this year with two, out of the initial three that started, making it to the finish. 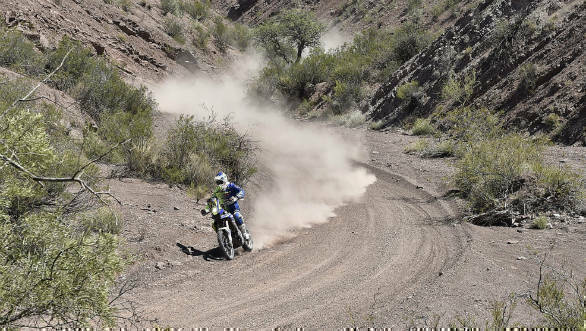 Juan Pedrero Garcia managed to complete the final stage in 15th place with a time of 33m57s. This pushed him down two places in the overall classification to 13th. Adrien Metge, his team-mate, finished three places behind him in Stage 12, and classified 22nd overall.